One big benefit of being Yelp Elite is that you get invited to these free events. 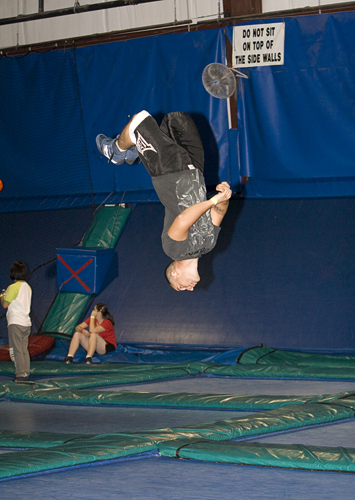 I missed the first one I was invited to, so I made sure to catch this one at Skyzone near Sam Boyd Stadium. It's basically a huge area of trampolines to bounce around on. 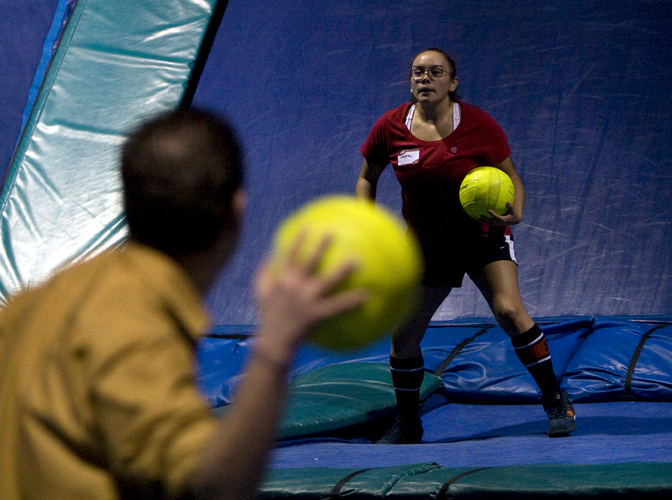 There was also a netted off area to the side where they held the first ever Yelp LV dodgeball tournament. We didn't participate. It was fun (and tiring) enough just jumping around and shooting hoops down on the other end. Overall, I'd say my first YEE (Yelp Elite Event) was a hell of a lot of fun. Big shout out to Misti Y, our awesome Yelp Community Manager, for getting us crazy Yelpers together for a fun night. If you care, you can read my review here.